ICING A SPONGE CAKE WITH BUTTERCREAM CAN FILL EVEN THE MOST ABLE OF BAKERS WITH DREAD, BUT IT’S REALLY A PIECE OF CAKE WITH A FEW TIPS FROM THE EXPERTS. 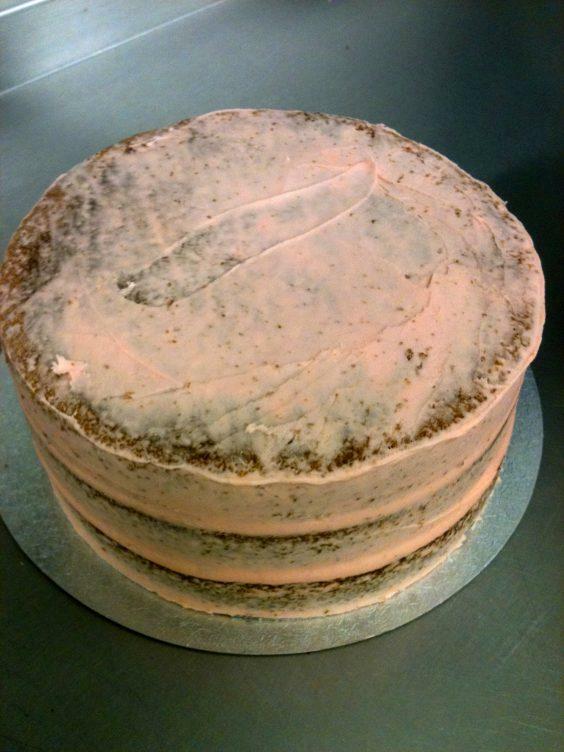 As you can imagine, we frost a lot of cakes in Cakeabration kitchens. 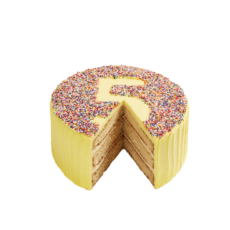 Three key ingredients that make a good cake decorator are a steady hand, confidence and plenty of attempts at getting it right! 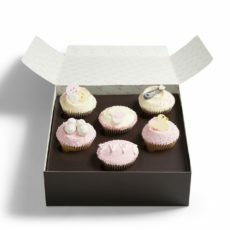 The good news for any aspiring baker wishing to brush up on their baking and decorating techniques is that anyone can have a go. 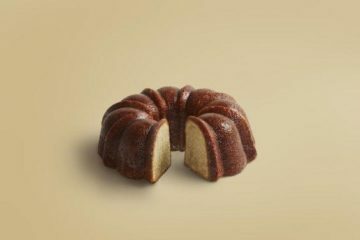 Apart from a palette knife, you don’t need any special equipment to make a beautifully finished cake. 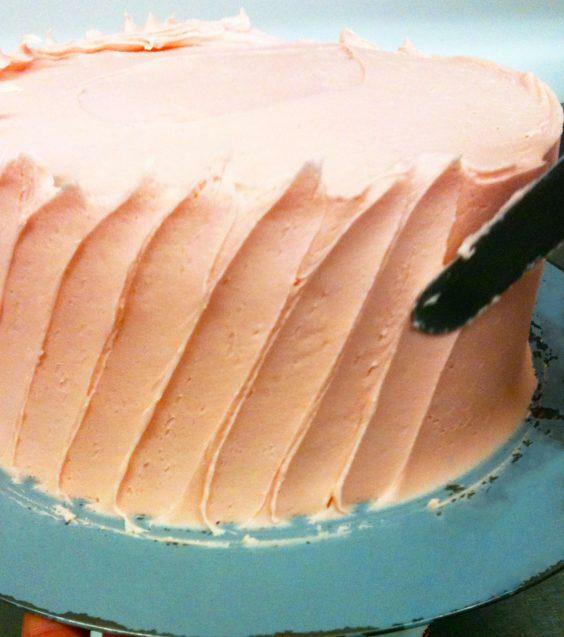 Don’t feel disheartened if it takes a few cakes before you get a buttercream frosting you’re happy with. 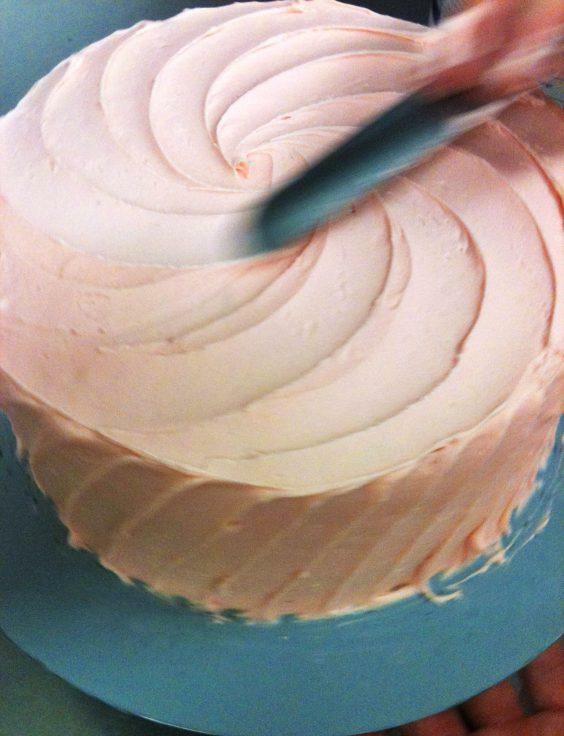 If you make a mistake, just gently scrape off the buttercream, wipe down your palette knife and try again. Once your sponges have fully cooled, take one layer and place it on a flat plate. 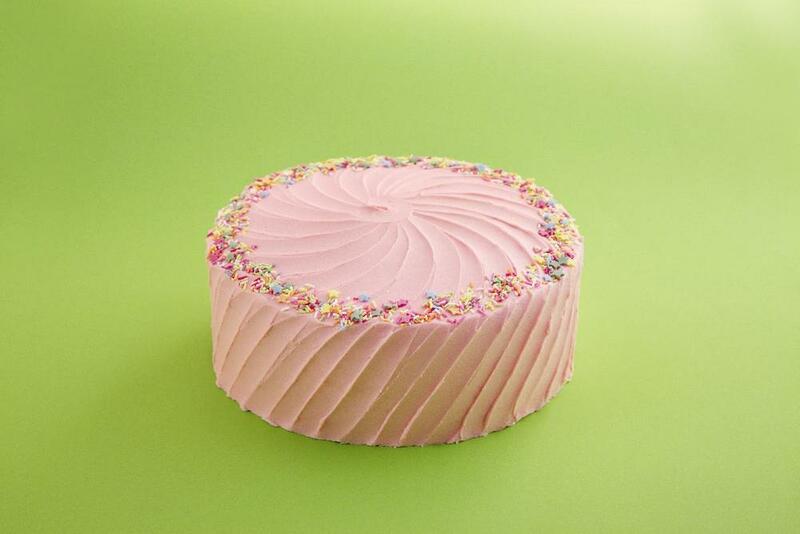 It’s time to sandwich your sponges with buttercream filling. 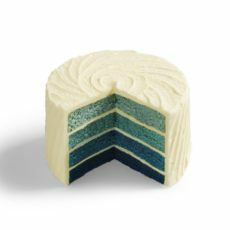 Spread a generous layer of frosting on the top of your sponge – be sure to go right to the edges so your cake is evenly filled. 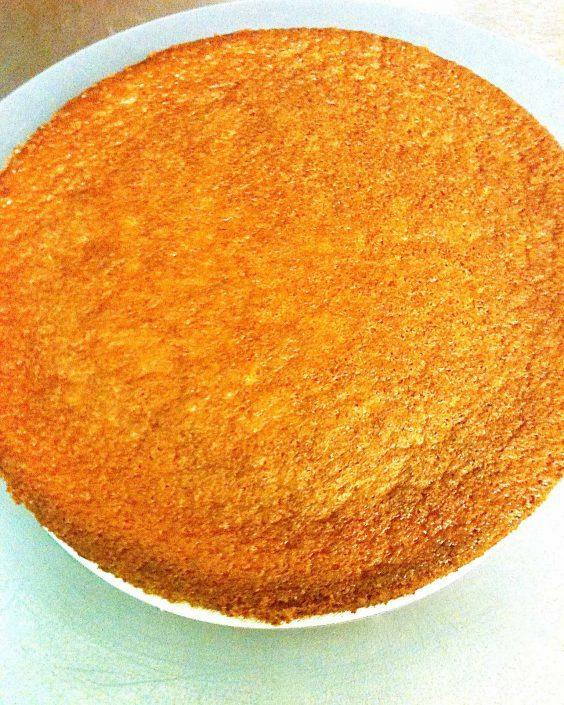 Once you’ve done this, place the next sponge on top of the first and repeat so that you have created layers of frosting for the middle of your cake. 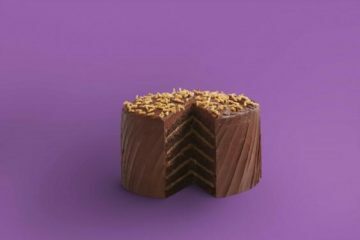 To get a really smooth finish and prevent crumbs from being caught up in the buttercream, it’s essential to apply a ‘crumb coat’. 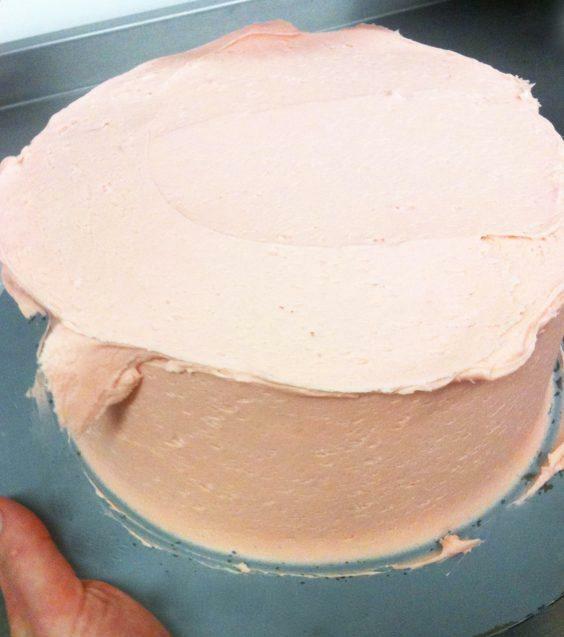 This is a thin base coat layer of buttercream spread all over the cake as a foundation for the decorative frosting. 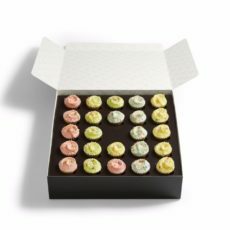 This will make spreading the final thick layer of buttercream much easier than if you were to frost directly onto the sponge. It’s perfectly normal for crumbs to get into the base layer. 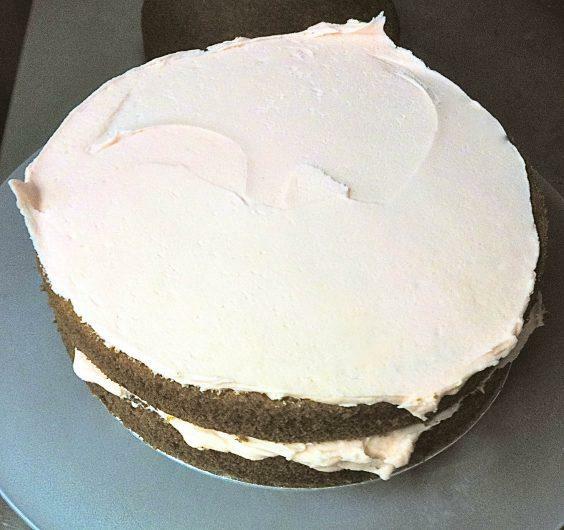 Ideally, allow the crumb coat to chill so that it firms up before adding the rest of the frosting. Spread the remainder of the frosting generously across the sides and top of the cake. Try to make this layer as smooth and even as possible. 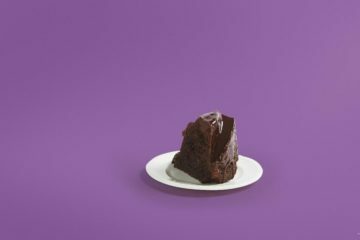 Take your palette knife (this can be angled or straight, whichever you find easier to hold) and using the tip, draw smooth lines up the sides of your cake. Aim to press evenly so that the lines are of equal width, but don’t worry if there is some variation – it will look beautiful once done! 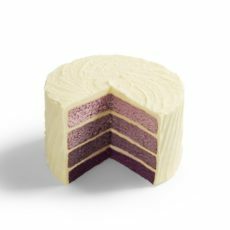 To create the swirl on top, drag the tip of the palette knife from the outside of your cake to the centre in gentle curves. These lines should be wider than the ones going up the sides of your cake. 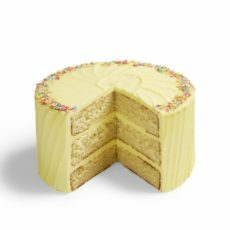 And there you have it – a spectacularly frosted sponge ready for decorative sprinkles, piping or to serve just as it is.